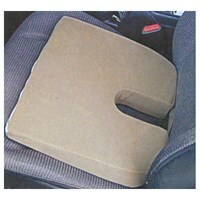 This wedge shaped foam cushion is orthopedically designed to reduce pressure on the coccyx (tailbone). The built-in slant creates proper posture while the specially designed cutout section allows the coccyx to rest without pressure for a more comfortable sitting experience. 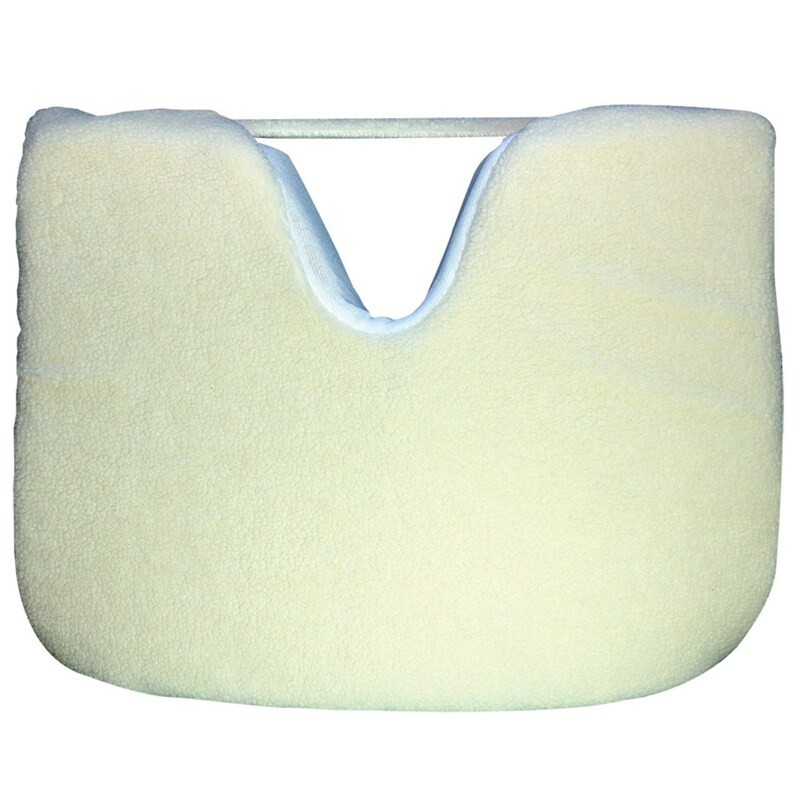 The cushion features a synthetic 100% polyester shearling cover that is fully washable.